Everyone is talking about the new album from Kanye West - Yeezus. It has very divided reviews. I've heard a few tracks today via BBC Radio 6 who made it their album of the day. The good reviews all talk about it's more than a Hip Hop album, he is pushing boundaries and shouldn't be judged against his previous albums. I read an interview with Rick Rubin who is executive producer and he said he striped it right back in terms of the music and Kanye knocked the lyrics out in almost no time. This has troubled some people. On the one hand it's pure raw expression, but undoubtedly leaves Kanye open to criticism by doing an album in this way. On the other maybe fans are just wishing he'd do another more comprehensive album on a par with College Drop Out or Late Registration. Apart from the reviews that are happy with Yeezus as a release, I have not heard much good about 808s and Heartbreaks or MBDTF. From what I have heard today it's not at all unlike those albums, very similar formula. So in effect I guess he isn't pushing boundaries as far as sound and content, other that superficially by the album having no cover art and the most sensational song titles being the first to be played. It's 'angry' Kanye because now he can be, but can people relate? To be fair, I'm a hater so my opinion lacks credibility. I preferred pre auto-tune, pre Niggas In Paris Kayne. I preferred entertaining, uplifting and positive Kanye. 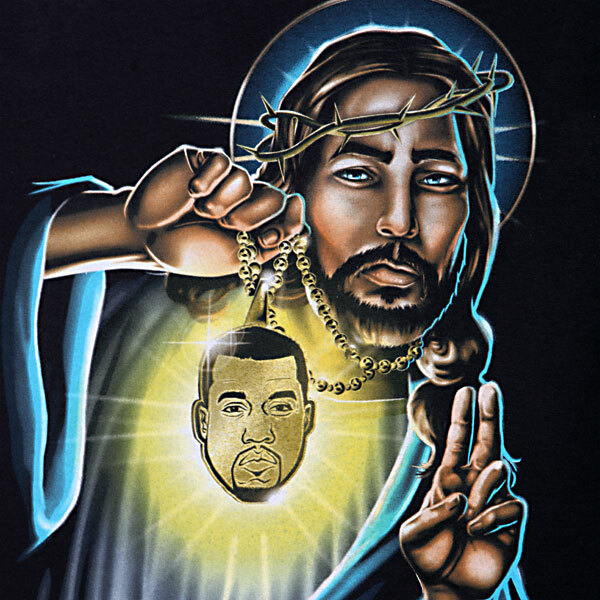 "Through the Wire", "Roses", "Touch the Sky" and "Jesus Walks" seem completely irrelevant to the new version of Kanye. I concede that he is an artist in a very true sense, I just find it difficult to relate and appreciate having seen and heard him at his best. Show man > Show off for me every time. Seeing him at Brixton was a joy and an experience I won't forget. He brought rock and roll type of feel to a rap concert in terms of appearance and showman ship. And if you really want to feel some real Hip Hop done in the right way and with a message you'd gain far more from, download Everythings Nothing by KRNDN. It's free so you have literally no excuse. I just felt I had to speak on this, it doesn't really matter all that much. There are albums I really want to buy but can't afford right now from Slaine and Statik Selectah to name just a couple, that people should really go out and buy before adding to Kanye's bank roll and ego. "I'm not a business man, I'm a business, man." Watch The Throne, Yeezus and Magna Carta Holy Grail? I have a t-shirt by Estevan Oriol with a picture of Jesus and the words "Here for the lost" underneath, which I would have replaced with my version "Hear for the lost" on that piss poor Kanye t-shirt above. Just seems like the bigger artists are doing whatever it takes to sell out, and we are letting them do it. Hey, if you are happy, I'm happy. Peace. PS this post was written off the top of the dome and the links and pics striped right back leaving just the raw feelings. Don't hate.